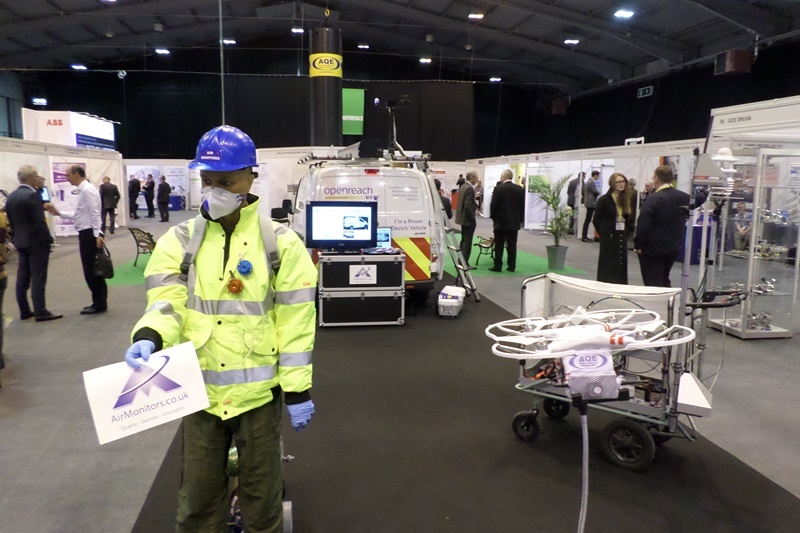 Situated just inside the entrance to the exhibition hall, Air Monitors was hard to miss on stands three and four, especially as in the centre of the hall it also showcased its monitoring equipment on an electric vehicle, a balloon and even a ‘quadcopter’ drone. Indeed, a growing focus for the firm has been on low-cost mobile monitoring devices allowing monitoring in locations not previously accessible, which was a major feature of Air Monitors’ promotion at the event as they provided live demonstrations under the theme ‘monitoring on the move’. Furthermore, Air Monitors popular wireless, battery-powered AQMesh pods were on show, which can be mounted anywhere and easily moved. The Pods use GPRS communications to transmit data for the five main air polluting gases to ‘the cloud’ where data management generates air quality readings as well and monitors hardware performance. 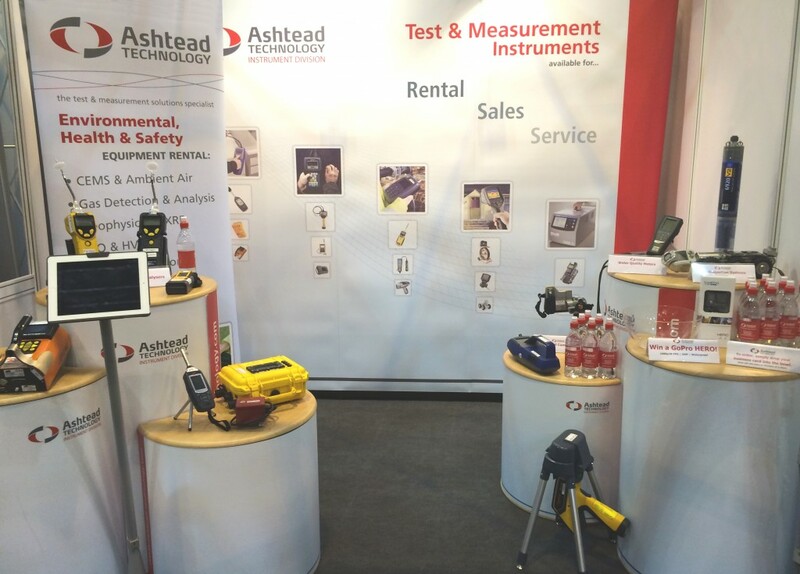 As well as presenting workshops on the AQMesh, airborne dust monitoring technologies and industrial VOC monitoring, Air Monitors’ also showcased two new toxic gas detectors in the Thermo TVA2020 and the Honeywell SPM Flex Chemcassette tape-based gas detector. Monitoring equipment firm PCME showed off its latest specialist continuous particulate emission monitors on stands 64 and 75. One of those pieces of kit was the Controller/DAHS, a new advanced ProController which powers central communications for the firm’s dust, leak and flow measurement sensors. The Controller includes high speed Ethernet connection for rapid data transfer and emissions reporting. And, the firm also presented trial results for its new QAL 1 approved Stackflow 400 in one of the Show’s workshop sessions on the Thursday (April 23). 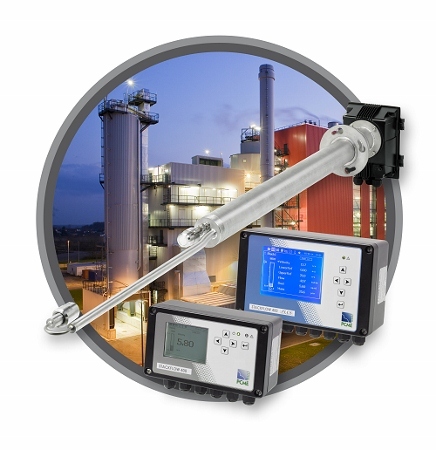 Designed for use in the aggressive emissions monitoring environments found in industrial stacks, the Stackflow 400 is engineered with in-built self-checks and high quality assurance features. Headquartered in St Ives, PCME also has offices in Shanghai and Pittsburgh and monitors more than 20,000 emission sources around the world across a range of industries. As well as promoting its recent work monitoring the air quality on Bristol schoolchildren’s daily commutes in partnership with the BBC and University of the West of England (see AirQualityNews.com story), Ashtead Technology showcased its fleet of rental monitoring equipment on stand 13. The company provided live demonstrations of its VOC analysers, toxic gas detectors, emissions and combustion analysers, indoor air quality meters, temperature and humidity meters and particulate monitors. Among the kit available to rent from Ashtead Technology is the Turnkey Osiris dust and particle monitor. This is capable of being rapidly deployed for short-term portable studies or undertakeing longer term monitoring with the Turnkey Lamp Post. With around 140,000 employees in roughly 100 countries, global industrial technologies firm ABB Group was one of the larger firms exhibiting at the 2015 AQE Show. On stands 70 and 71, visitors were able to see first-hand its latest range of air and gas analysers, including the new ACF5000 hot/wet extractive continuous emissions monitoring system for combustion applications. Using FTIR technology, the ACF5000 enables simultaneous analysis of up to 15 difference gas components, including sulphur dioxide (SO2), carbon dioxide (CO2), carbon monoxide (CO), ammonia (NH3) and VOCs (volatile organic compounds). The system is suitable for combustion process monitoring in municipal and hazardous waste incineration and power plants using coal, oil or waste. It is currently undergoing MCERTS certification for use in process plants applications. 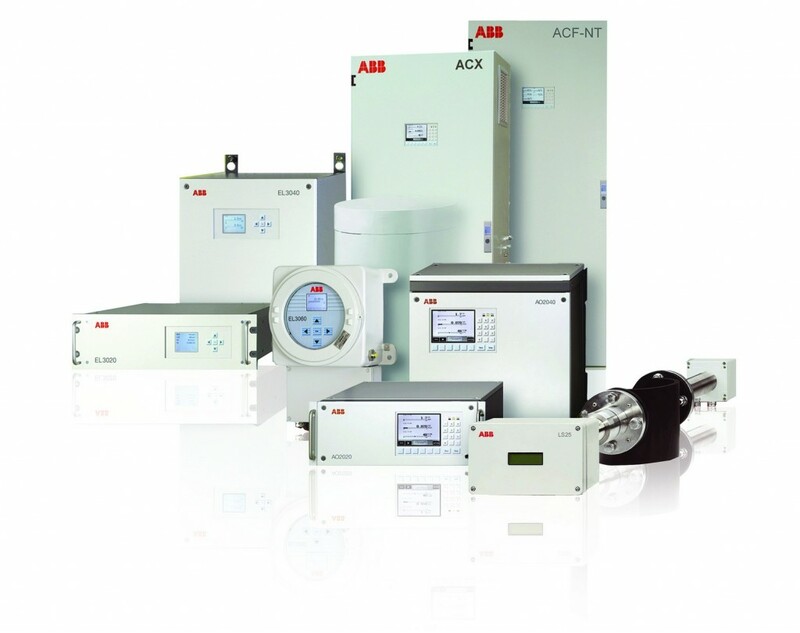 Other products on the ABB stand included the LS4000 laser gas analyser system for use in hazardous locations, as well as the Endura AZ20 zirconia oxygen and StackFlowMaster instruments. On the Thursday (April 23), ABBs analytical product manager Gunter Haberzettl also held a workshop – ‘Obtain the highest availability in emission monitoring with extractive operating CEMS’ – which explained how implementing a QAL3 evaluation tool into a continuous monitoring system can help simplify data storage and reporting, with users able to access data using a web browser.